The new French president, Emmanuel Macron, has appointed a centre-right politician, Edouard Philippe, as prime minister, in a move to enlarge his political base and weaken traditional parties. Philippe, 46, is a relatively unknown figure to the public even if he has been mayor of Le Havre, France's second port city, since 2010. His name had been circulating since Macron's election on 7 May, as a way of signalling a renewal of the French political class. Philippe's nomination also expresses Macron's strategy to go beyond the traditional right vs left divide, and to split the centre-right Republicans party - to which Philippe belongs - ahead of next month's legislative elections. Macron, who was an adviser and an economy minister to former Socialist president Francois Hollande, has so far been supported mainly by left-wing politicians. 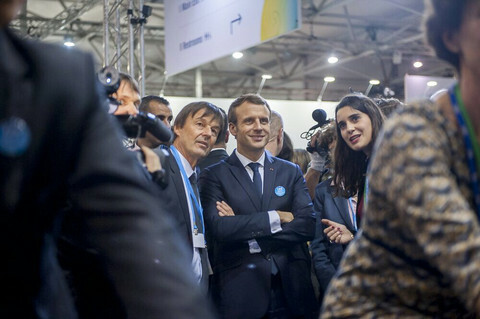 Choosing a centre-right politician to lead a government that is expected to include politicians from the left, centre and right, as well as non-politicians, is a way to show voters that Macron can gather support from all sides and, in turn, convince citizens not to vote for the traditional parties. "I am a man from the right," Philippe said as he took over from outgoing prime minister Bernard Cazeneuve, adding that the "general interest must guide [politicians'] commitments". He said that as a man from Normandy, he was "violently moderate but conquering". In a statement, the Republicans party said that it "regret[ted]" Philippe's nomination as Macron's prime minister, which it said was "an individual decision" and not a decision to form a coalition. Noting that the new PM's mission will be to beat the Republicans candidates, the party said that "the legislative campaign must be a campaign of clarity". Bernard Accoyer, a former Republicans president of the National Assembly, the lower house of parliament, was more explicit and said that Philippe would have to say whether he would support candidates from his Republicans party, or candidates from Macron's En Marche! movement. But another top figure of the party, former prime minister Alain Juppe, said that Philippe's nomination showed that France was "entering a new phase of political life". He said that if the right fails to win the elections in June, "the country will not understand that we engage in a systematic opposition". 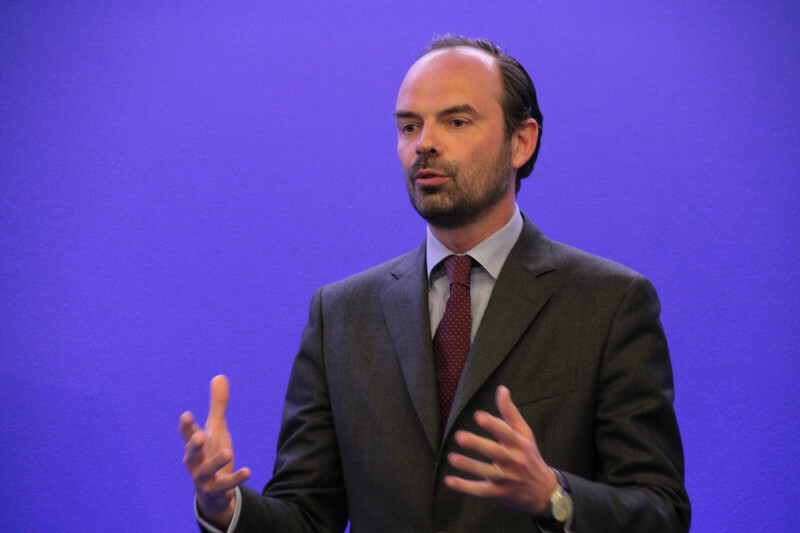 Edouard Philippe has been a close ally to Juppe, and his nomination, publicly approved by Juppe, is likely to trigger bitter infighting within the Republicans over which political line to follow during the campaign and beyond. The Republicans candidate in the presidential election, Francois Fillon, was eliminated in the first round with 20 percent of the votes. On Monday, Bruno Retailleau, a senator who is a close ally of Fillon, said that Macron was trying "hinder the opposition" and "destabilise the voters". On the other hand, another influential member of the Republicans, former EU affairs minister Bruno Le Maire, said that Philippe's nomination was a way to "go beyond the old divides to serve France and the French people". Macron's choice for PM was also welcomed with hostility from the left. 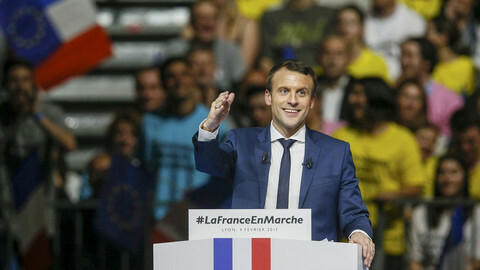 Olivier Faure, the head of the Socialist group in the National Assembly, said that Macron "has made the choice of a conservative PM who never expressed his rallying behind the project of En Marche!". The Socialist Party leader, Jean-Christophe Cambadelis, said that "with a right-wing prime minister, the parliament needs the left". "The old world is back," said radical left leader Jean-Luc Melenchon, adding: Emmanuel Macron has taken control of the whole political class." Melenchon, who was the leading left-wing candidate in the presidential election - with 19 percent in the first round - added that his Unbowed France movement was "the only coherent and united force for the sake of democracy". 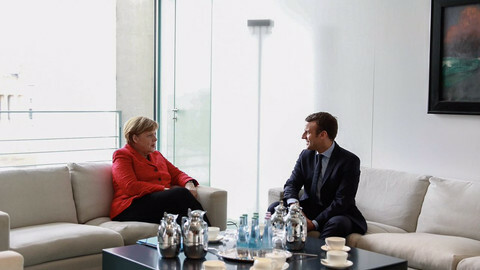 Macron was also criticised for not appointing a woman. In March, he said that he "would like that [the PM] is a woman" if he was elected, adding that he would choose according to "experience and abilities". A favourite for the post in recent weeks had been Sylvie Goulard, an MEP from the liberal ALDE group. She is now being tipped for EU affairs minister. 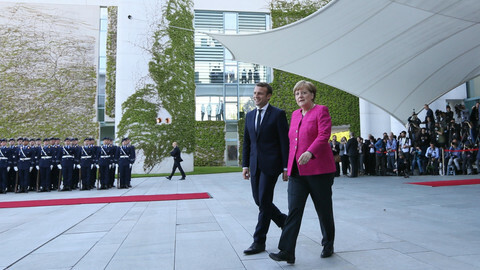 Incoming French president was welcomed as a saviour from the far-right, but some of his economic proposals are anathema in Berlin ahead of September's elections. 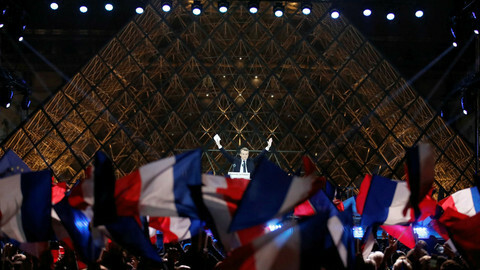 The new French president mixed republican pomp and European faith in his victory celebration. But to succeed, he will have to start a revolution. 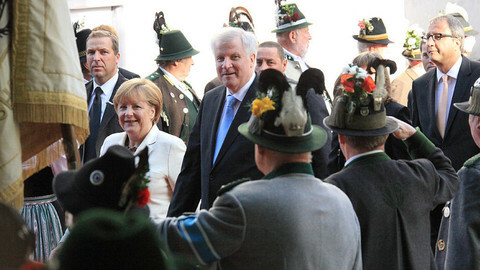 The French and German leaders will present a common proposal to deepen and strengthen the EU and the eurozone. 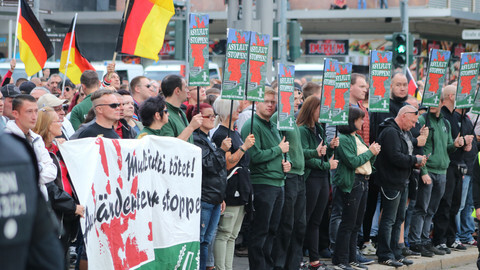 They say they are ready to change the EU treaties. The party of the new French president could get more than 400 MPs out of 577, first round of voting showed on Sunday.